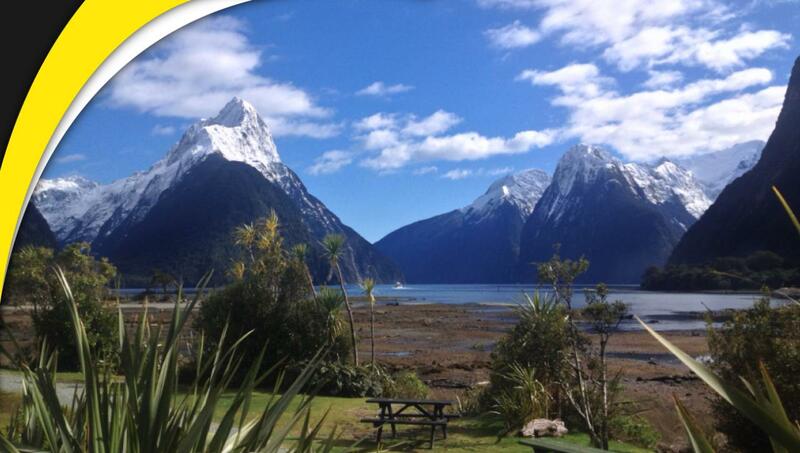 A once-in-a-lifetime 2-hour flight through Mt Aspiring & Fiordland National Park to Milford Sound. Enjoy unique views of untouched glaciers, alpine lakes and the stunning Mt Aspiring, before descending into the mighty Milford Sound. Your trip can be tailor-made so that you can rendezvous with a cruise boat trip, kayak trip, or just enjoy a relaxing lunch and a stroll along the waterfront. Fly out over Milford Sound taking in stunning waterfalls with their majestic misty rainbow colours and sheer, rugged cliffs disappearing into the fiord. 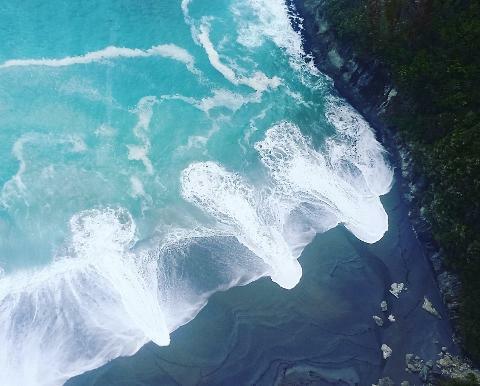 Flying back to Haast we take you via the rugged, untamed Fiordland coastline with the chance of spotting penguins, seal colonies, dolphins, and whales. 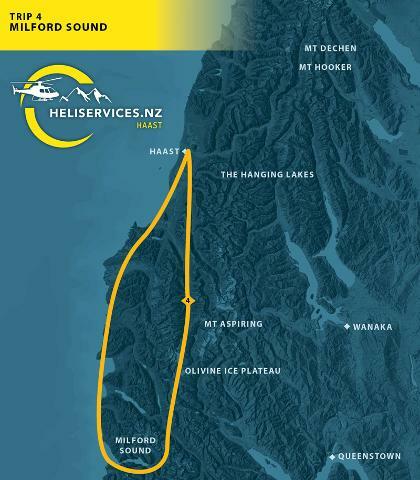 Access to Milford is often easier from Haast because we are able to fly in via the coastline. This flight will save you days of travel and gets you away from the hustle and bustle of the main tourist centres. We specialise in making this a personalised experience for you. Allow 120 minutes or three hours with a landing. Half day trips are available on request.